The only place I can mount my dish is under the eave, but I need to put the J-mount upside down. 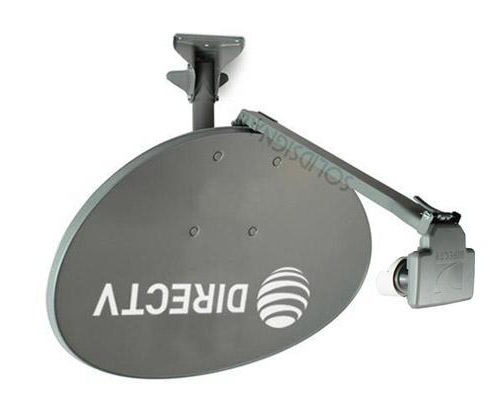 Can I put the back adjustment unit on upside down, or can I just mount the entire dish on upside down? It may be possible to frankenstein in a back adjustment unit so it’s upside down. It is a very, very, bad idea though. You’re changing the entire geometry of the dish so you’re essentially aiming it blind. Even worse, you’re aiming it blind and upside down. As far as mounting the entire dish upside down, that isn’t going to work, period. You’re putting the LNB upside down and that means you won’t get any satellite but the central one… the others will be hopelessly impossible to aim. You could do it if you were able to use some sort of additional concave mirror, but I’m not sure where you’d put that. …it might be better to abandon the idea of an under eave mount altogether in favor of a pole mount, non-penetrating roof mount, or even a small tower. Chances are there are a lot more options than you realized when you’re mounting. No matter what your situation, there is an option and someone has already created it. There is absolutely no reason to try to mount a dish upside down. No matter what the need, there’s one place where you can find the most comprehensive selection of satellite mounting supplies. Check out the great selection at Solid Signal and remember, if you have questions, help is close at hand! Call us at 877.312.4547 or even just leave a comment below and we’ll find the answer together. 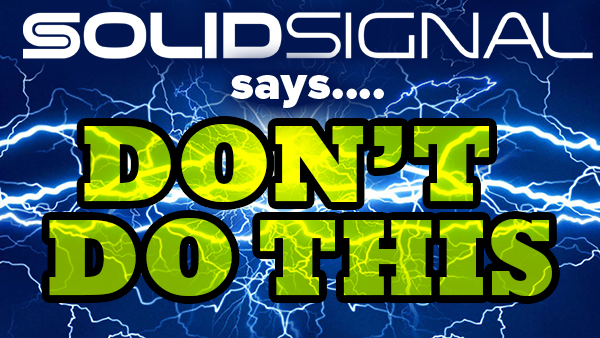 Solid Signal and The Solid Signal Blog are your headquarters for hard-to-find parts and hard-to-find answers. UPDATED: What’s the difference between a regular search and a “keyword” search?